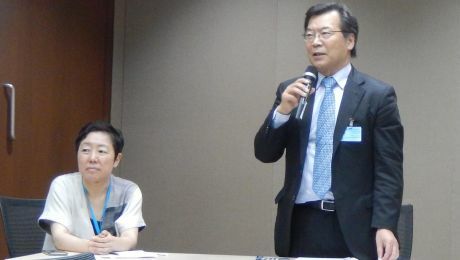 On 27 March 2019, UNU-IAS, jointly with UNESCO Bangkok and the Ministry of the Environment Japan (MOEJ), organized a side event at the Sixth Asia-Pacific Forum on Sustainable Development 2019 (APFSD 2019) in Bangkok, Thailand. The event focused on the role of higher education for achieving the SDGs and aimed to share the findings from the joint project of the Promotion of Sustainability in Postgraduate Education and Research Network (ProSPER.Net) titled “Development of a Framework for the Local Implementation of the SDGs.” ProSPER.Net, for which the UNU-IAS project Education for Sustainable Development (ESD) serves as the Secretariat, is an alliance of higher education institutions in the Asia-Pacific region working towards integrating sustainable development in postgraduate education and curricula. The event began with opening remarks by Shigeru Aoyagi, Director of UNESCO Bangkok, and Ryuzo Sugimoto, Director of International Cooperation and Sustainable Infrastructure Office at the MOEJ. In a keynote speech, Mario Tabucanon, Senior Visiting Professor at UNU-IAS, emphasized the importance of ESD and highlighted that higher education can contribute towards understanding the interlinkages of the SDGs. 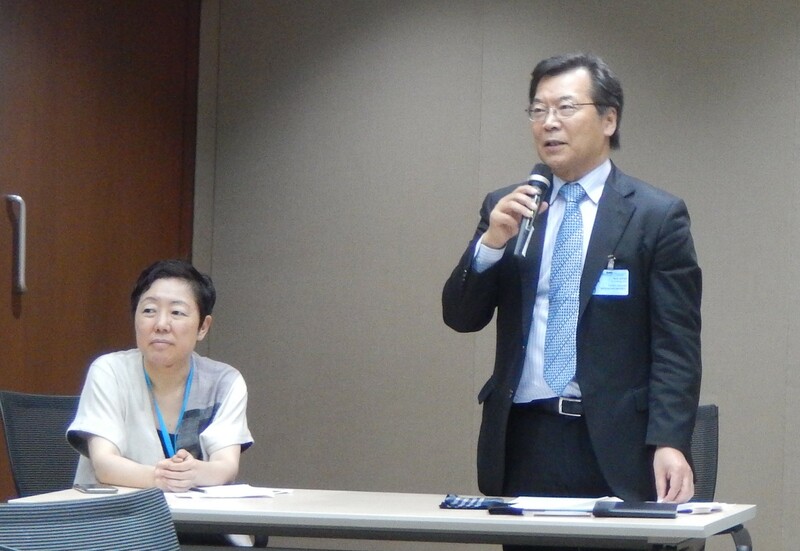 In a panel discussion moderated by UNU-IAS Director Kazuhiko Takemoto, case studies on local implementation of the SDGs were presented by four ProSPER.Net members. Smriti Das, TERI School of Advanced Studies, India, reported findings related to health, water, sanitation and solid waste management in SDG implementation in Delhi, India. Based on a case study from Toyooka, Hyogo Prefecture, Japan, Cosmo Takagi of Keio University stressed that participatory approaches would strengthen a sense of ownership among local people in achieving the SDGs. Nestor Castro, University of the Philippines Diliman, pointed out the change of local government officials as one of the challenges in a case study on Quezon City, Philippines. Sayamol Charoenratana, Chulalongkorn University, Thailand, mentioned four important elements (namely awareness-raising, advocacy, implementation, and monitoring) for localizing the SDGs in a case study on Muang District, Nan Province, Thailand. As discussant, Ushio Miura, UNESCO Bangkok, commented that the four case studies presented examples of collaborative learning processes for the SDGs and provided insights that such processes can facilitate the shared understanding in the community. In the discussion with audience, the importance of putting the SDGs into local languages and institutionalizing the initiatives was underscored. The discussion and recommendations will be reflected in the next phase of the joint project.